Samsung's latest weapon in the lower mid-range segment is the new Galaxy S Duos 2, which brings the same design as the previous gen with updated hardware. 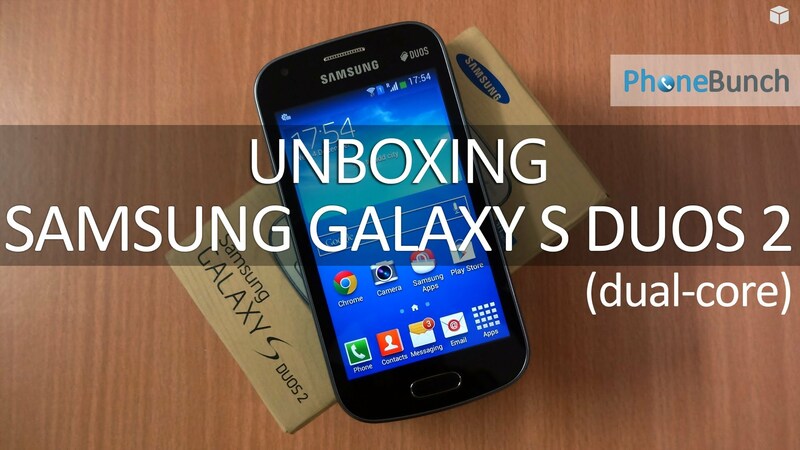 The Galaxy S Duos 2 GT-S7582 brings a 1.2GHz dual-core processor, 768MB RAM, 4GB of internal storage and Android 4.2.2 Jelly Bean to the table. 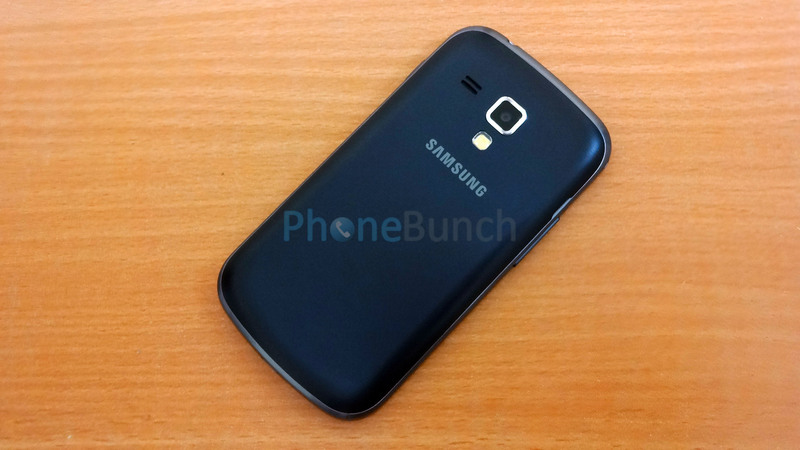 Although the design and construction remains pretty similar to the original Galaxy S Duos. Priced at around Rs. 10,999, the Galaxy S Duos 2 can easily become the market leader in this segment as its only true competition is the Sony Xperia M which costs considerably higher if you compare its dual-SIM variant. The headset looks the same as the one you get with the Galaxy Star, and in that review we found it sounded really well. 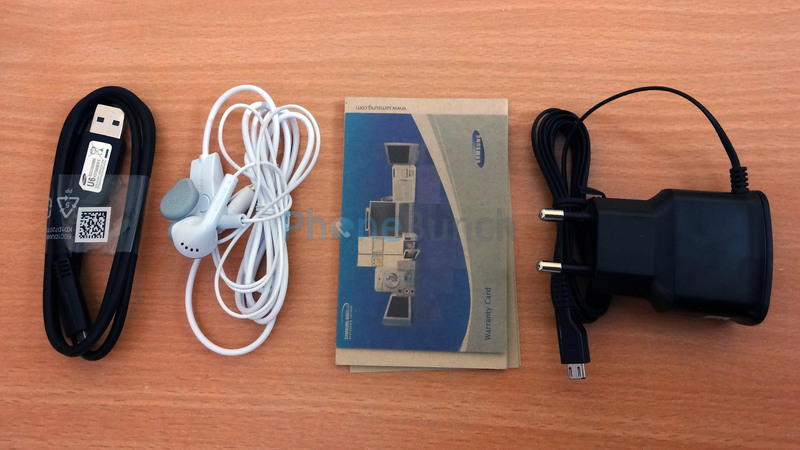 On the left side of the Samsung Galaxy S Duos 2 you have the volume rocker, and similarly on the right you have the power button and the hot-swappable micro-SD card slot. At the top of the S Duos 2 you have a lonesome 3.5mm headphone jack and at the bottom you have the primary microphone as well as the micro-USB data syncing/charging port. The front is covered in glass, which houses the 4-inch WVGA display, VGA front-facing camera, sensors and the primary earpiece. Just below the display you have the characteristically Samsung, physical Home button flanked by two capacitive menu and back keys. Moving over to the back, you have a matte backcover, which provides excellent grip and makes the device easy to hold. The back also houses the 5MP auto-focus camera with the LED flash just below it and the loud-speaker on the left. Just below that is the Samsung logo, and the rest is pretty barren apart from the textured backcover. The build quality is exceptional for the price, and the matte back cover just makes the device feel even more premium. A metallic trim runs on the sides which again might seem repetitive, if you are coming from any Samsung smartphone. Then there's the display, its vibrant, colorful to the point of over-saturation but its sharp, every image or video you through at it just looks better, even more cheerful. 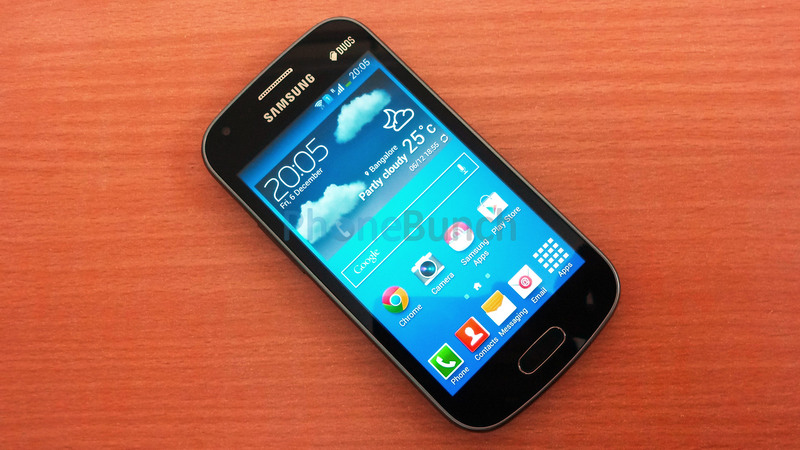 The first thing you notice is the Galaxy S Duos 2 looks exactly same as its predecessor, and you are right. There is almost no change in the physical shape, size or aesthetics of the Galaxy S Duos. What's changed is underneath the plastic shell. The processor has been upgraded to 1.2GHz dual-core with Videocore IV graphics, 768MB RAM and Android 4.2.2 Jelly Bean with TouchWiz UI. The chief competition of the Galaxy S Duos 2 is not from Indian manufacturers, but from the Sony Xperia M which too has a good display, great performance but costs more, especially the dual-SIM variant. What remains to be seen is how the Samsung Galaxy S Duos 2 holds up to its competition in performance and battery-life. At present though, it seems Samsung may have just pulled a rabbit out of their hat, and played a spoilsport in the segment where Indian manufacturers were flourishing.